We pride ourselves in exceeding patients’ expectations both in terms of outcomes and experience. Yes we are unconventional from others – ensuring you have your own dedicated surgeon from start to finish and cared for in an award-winning purpose built hospital; a reputation for being an exemplary centre internationally as well as a reference centre and advisor to the eye care industry. We are proud to be recipients of numerous awards and are ISO 9001, 14001 and 27001 accredited. Although at 3 locations in London, Surrey and Sussex, Centre for Sight’s goal has never been to be the biggest, only to be the best. Centre for Sight was founded in 1996 by internationally renowned consultant eye surgeon, Sheraz Daya, with the mission of providing absolutely the best possible eye care in the UK, giving patients phenomenal outcomes and exceeding all expectations. We have introduced new techniques and new technologies to the UK with cost a secondary issue to patient safety. 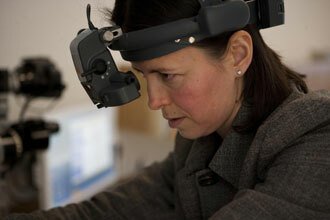 The Centre is UK’s longest provider of Lasik laser eye surgery. Amongst other major developments, in 2004 the Centre, introduced “scalpel free” Intralase femtosecond laser for high precision eye surgery. Similar laser technology is now being used for Cataract surgery and again the centre is a world pioneer for Victus Femtosecond Laser Surgery. International surgeons regularly visit to observe Laser cataract and refractive lens replacement procedures as well as corneal procedures using the femtosecond laser. The Centre is recognised by the ophthalmic industry as a centre of excellence and point of reference and continues its pioneering work. We are proud and privileged to look after patients from all over the world, including Presidents and Prime Ministers, doctors, eye surgeons and their relatives. 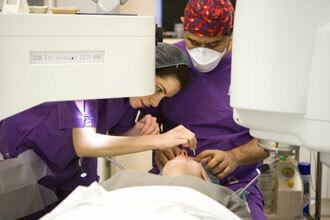 Many patients with complex and difficult problems are referred to us for further care. Laser eye surgery, Lasik, Implantable contact lenses, Laser Lens replacement surgery, Laser Cataract Surgery are all provided with a difference. Learn more about how we are different by visiting the relevant pages. Where we really stand out is in our special expertise in Cornea. Keratoconus, Fuchs Endothelial Dystrophy, Corneal Transplants and Stem Cell Surgery are areas for which the centre is internationally renowned for and modern techniques using lasers have been develop by us to treat these conditions more precisely. All this and more, available right on your doorstep! Centre for Sight is owned by Ad Astra Capital, British Virgin Islands and a company of the Ad Astra Settlement a discretionary Trust whose beneficiaries are Mr. Sheraz Daya, his wife Marcela Espinosa Lagana and their family. 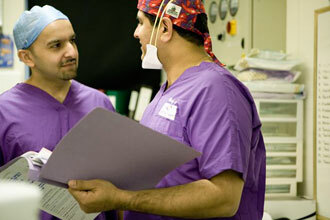 Medical Centre International Ltd. is a company wholly owned by Mr.Sheraz Daya. The company is involved in healthcare provision, specifically eye care and activities include provision of healthcare facilities operated by Centre for Sight. 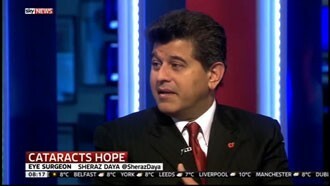 Sheraz Daya as a key opinion leader has considerable involvement with the ophthalmic industry as a consultant. Including his interest in Medical Centre international Ltd. he has a financial interest in the following companies. The code indicates the nature of the interest and key to the code is found in a separate table.